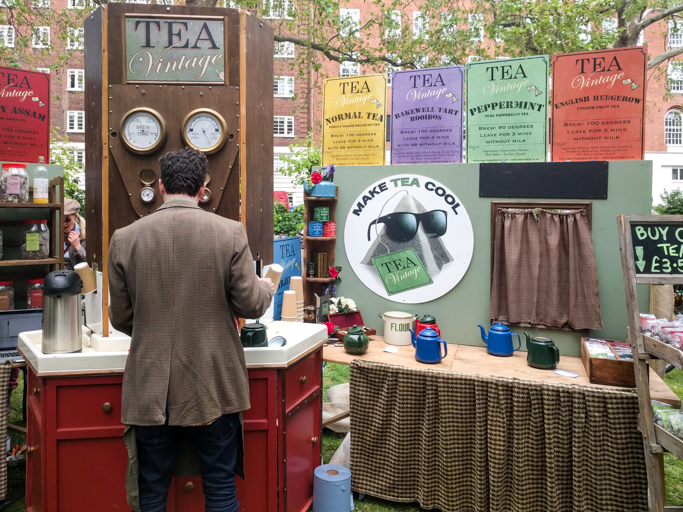 London is a fantastic mix of cultures, a hub of different events and styles and a general busy, fast moving city. Just one hop on the tube and you can be anywhere. 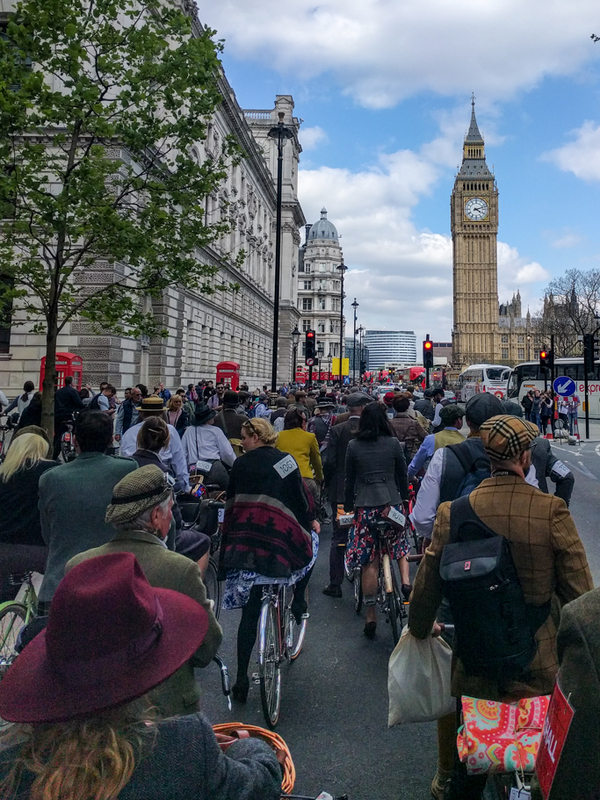 But what I’ve never actually tried was cycling in London. 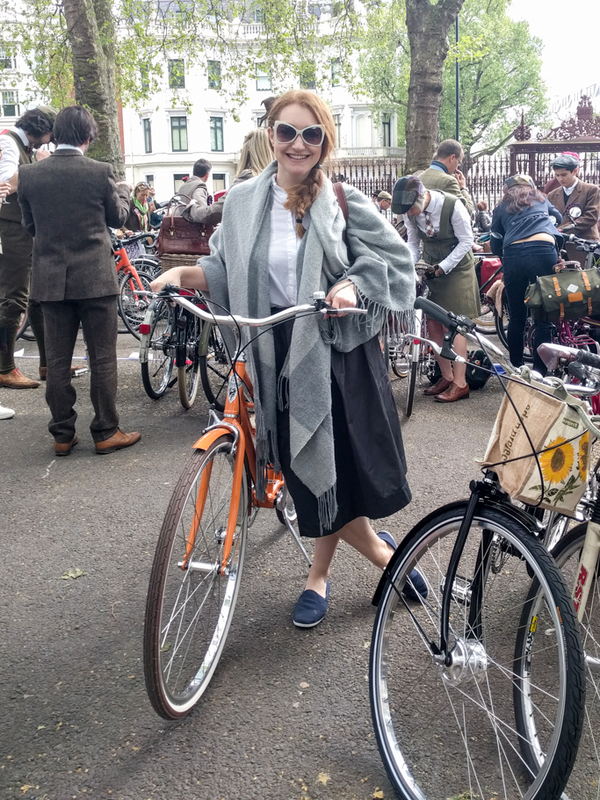 I know it’s very popular in European countries such as Sweden and Holland but to be honest I always had an apprehensive nature to London and bikes. I mean have you seen the way people drive here? 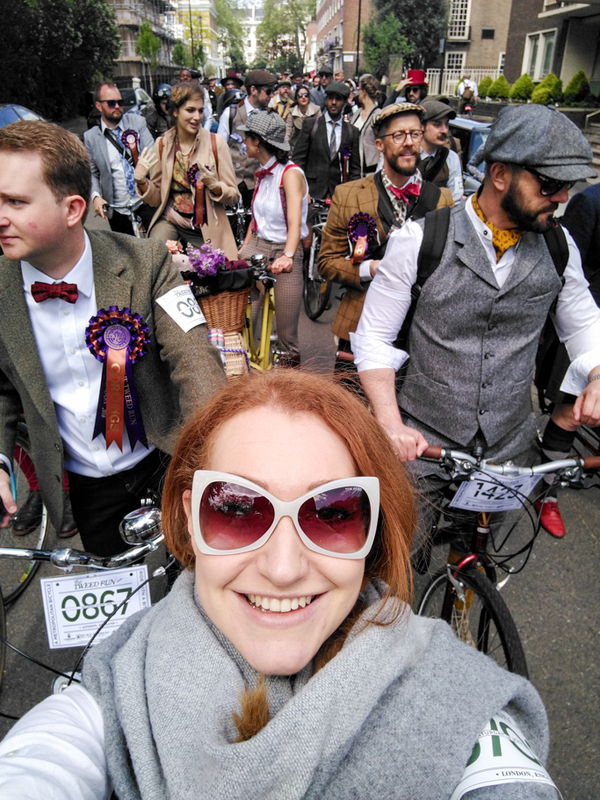 However keen to get into cycling (hello nice slim thighs) I thought doing a group cycle would be the perfect way to be introduced to London roads, and a lover of anything quintessentially British, I signed up for something called the Tweed Run. And oh it was fabulous. 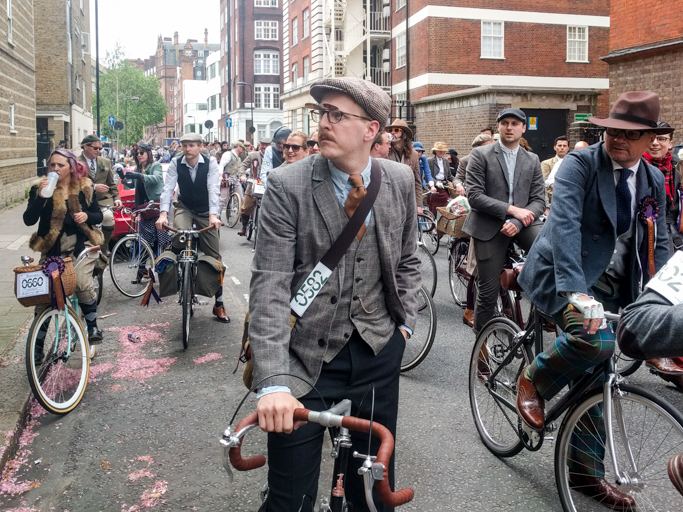 Now you are probably thinking what on earth is a Tweed Run? 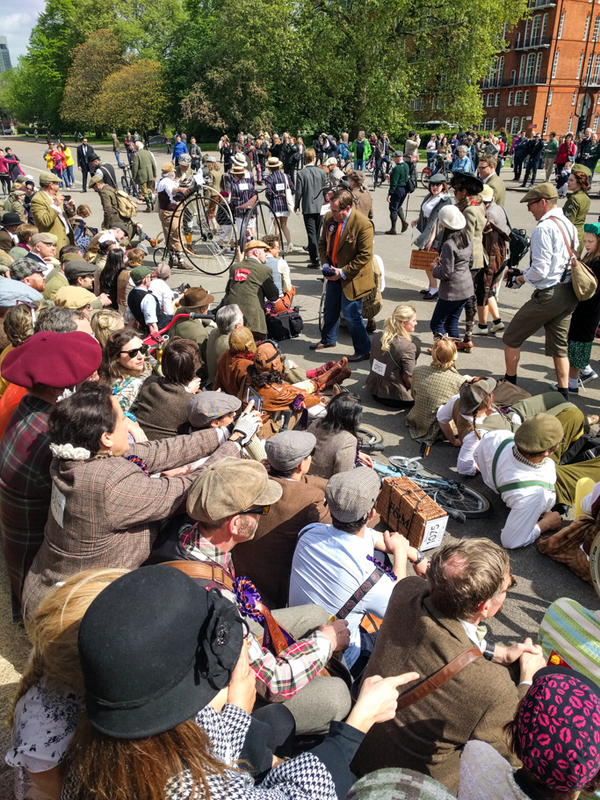 Well what started as a small group of friends little get together, all dressed in tweed and decided to cycle around London, has now turned into an 800 strong group doing exactly that. 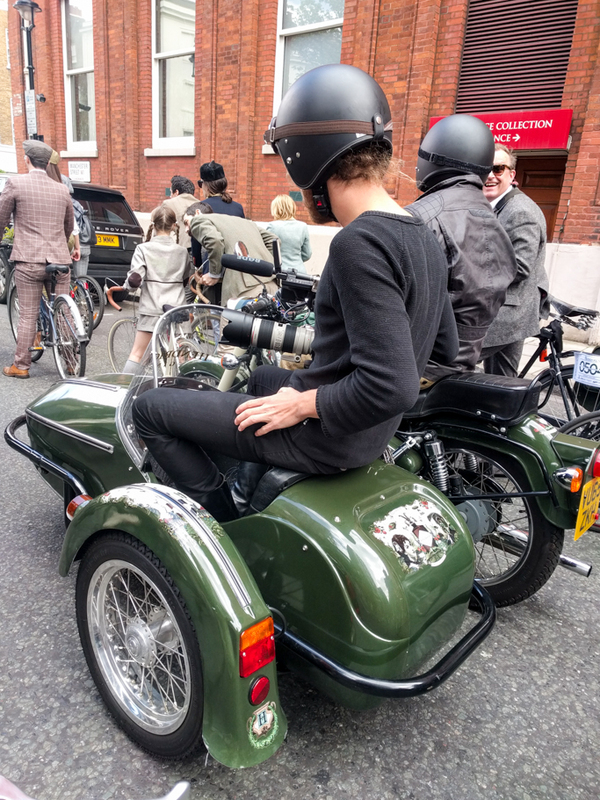 The ultimate way to test out my new Electra bike too. 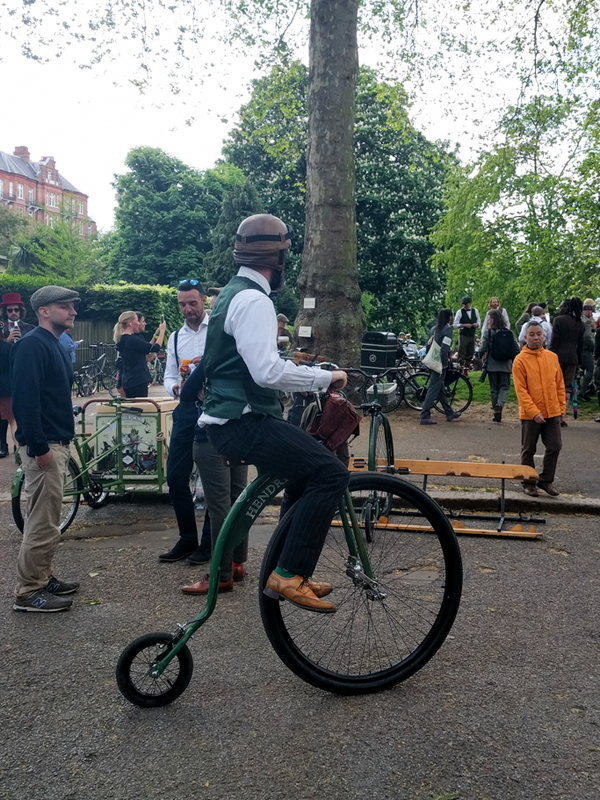 If you haven’t heard of Electra bikes, well you’re missing out. 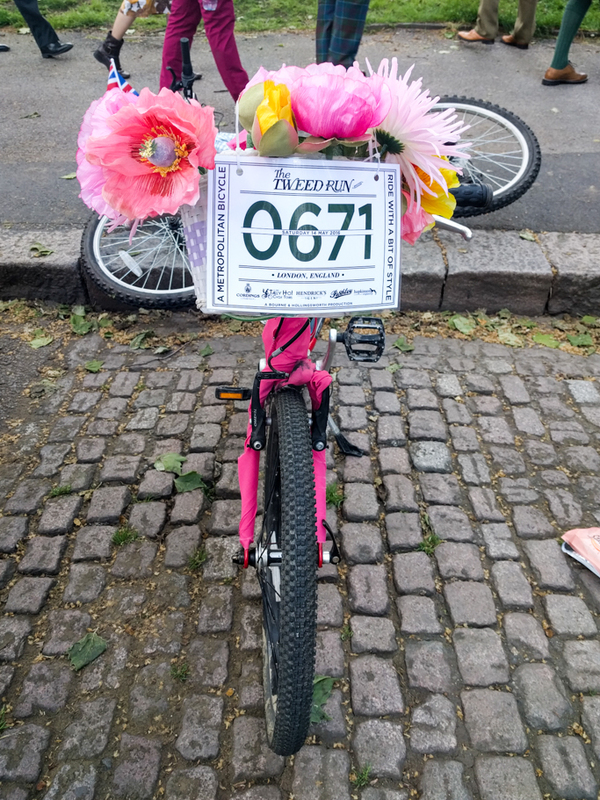 I’m in love with my new bike- just look at how beautiful it is! It’s the perfect city bike, nippy, light and of course I had to have a bold statement one too. Heading over to Bourne and Hollingsworth, it was a sea of retro nostalgia. 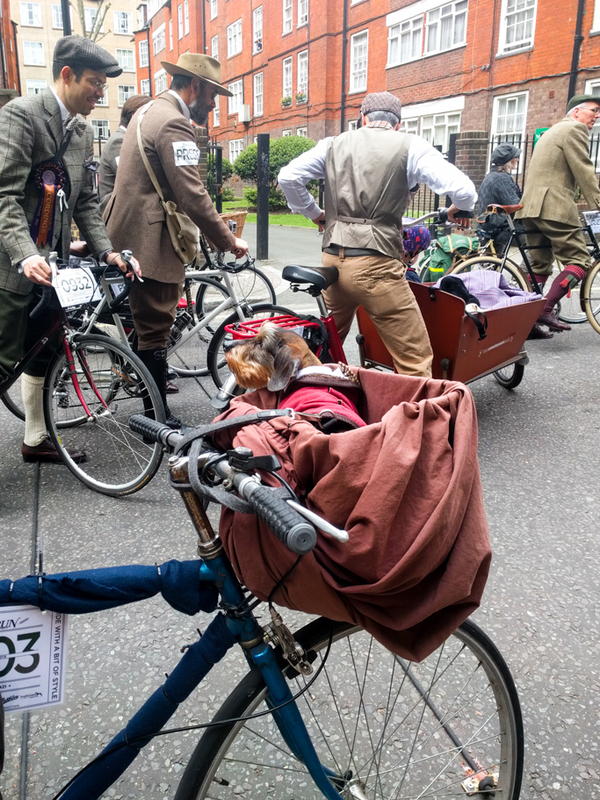 Every way I turned there was people glammed up in 1940s rollers and red lipstick, men in tweed trousers with bike clips and even dogs in wicker baskets. It was awesome. After a quick registration we were off. 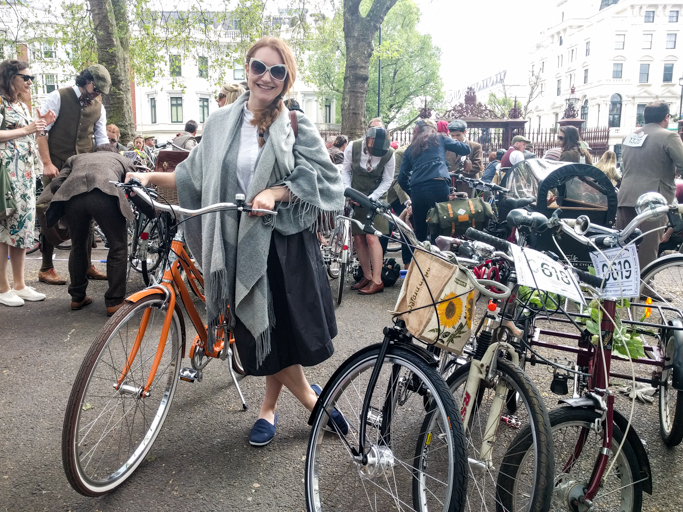 Having never ridden in London I was slightly nervous that I would wobble and fall over (A high risk with me) however I soon found my peddles. 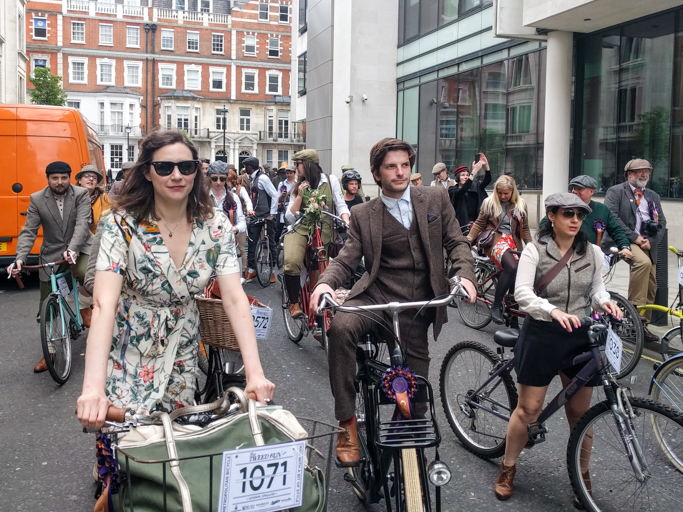 Riding through central London, 800 cyclists decked out in tweed and retro clothing really was a sight and of course drew a lot of attention. Passers-by were amazed at the slight. 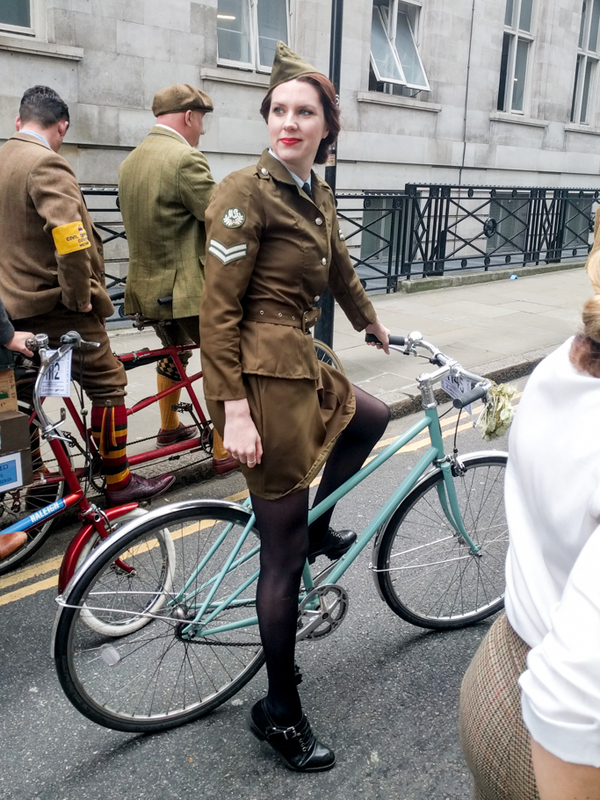 I was also quite proud when someone shouted out that he loved my bike! 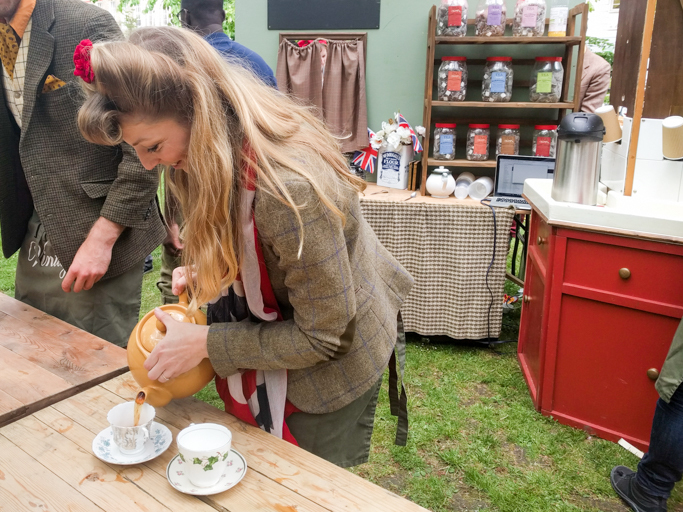 We stopped for tea- obviously- to quench our thirst, and then after a good old British natter we were off again. Outfit game is strong with this one. It was so much fun, the atmosphere was one of happiness and laughter. It was a little silly, and no one took it too seriously. 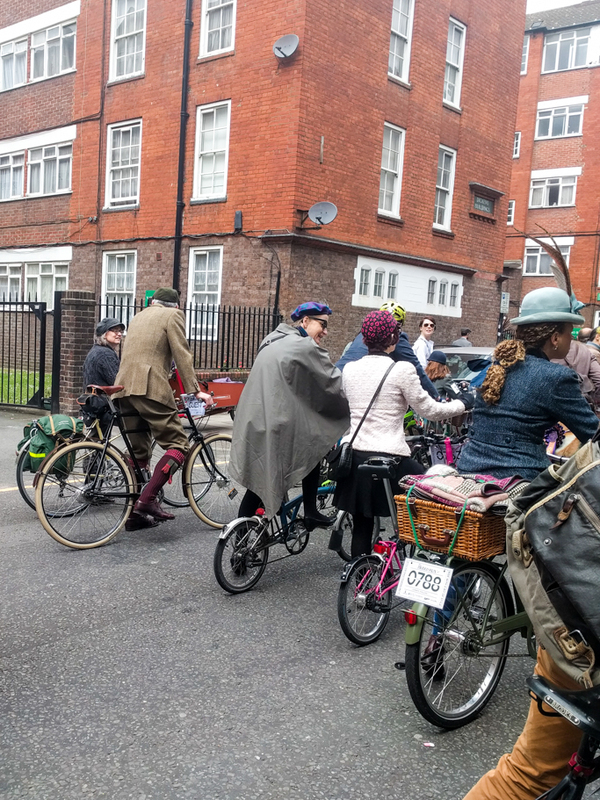 People chatted to each other as we peddled leisurely across town. I honestly had this big grin on my face constantly. If you follow me on Instagram you might have seen me falling off this! All people from all walks were included. 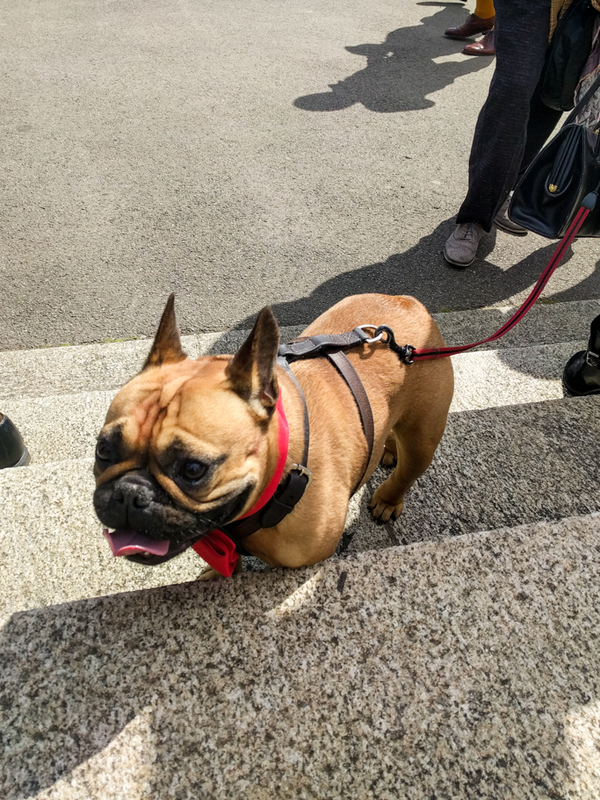 Even this little fellow. 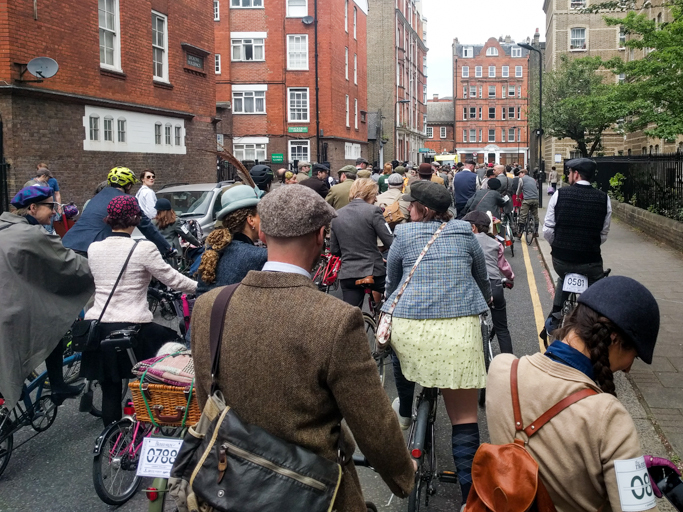 It's so lovely how cycling brought so many people together. London is known for it's miserable, non friendly attitude, and yet I chatted to complete strangers like we were friends. How awesome is my bike by the way, she's a beauty, and rode like a dream. After a long day of cycling around London, it was back to base to have a refreshing, well deserved drink. 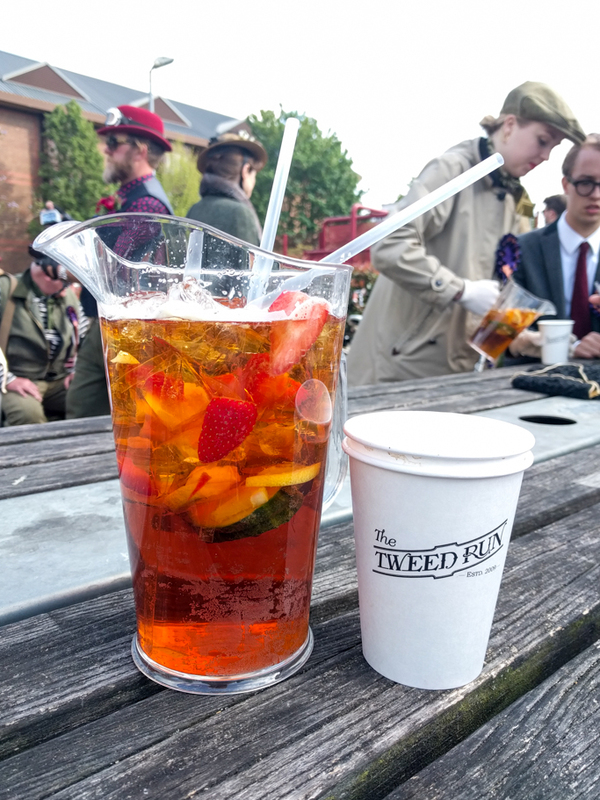 Obviously it had to be Pimms. 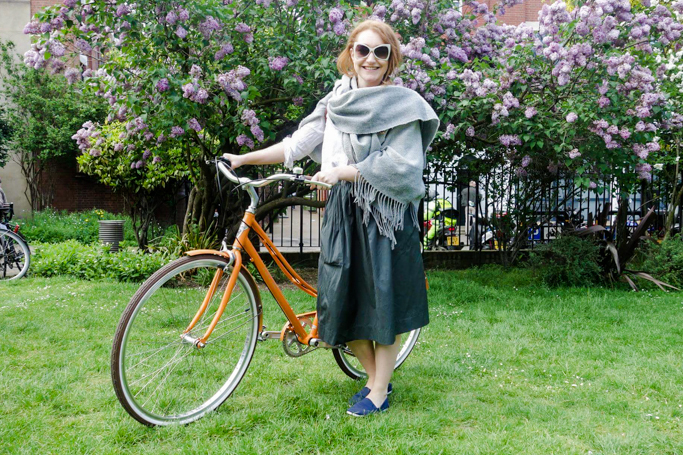 I now cycle around London, so if you see a ginger on a orange bike, give us a wave. 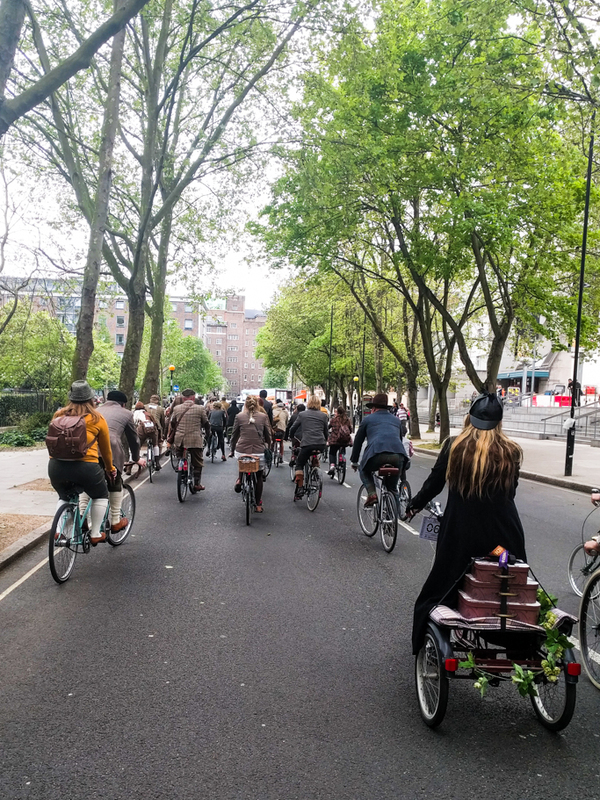 And I'd really recommend getting your own Electra, as it really has made me see so much more of London, all those hidden back streets, cute little cafes... I think I love cycling. I had never heard of this until a year or two ago mum and I were shopping in London and it flew past us!! It looks such fun. wow,,, really amazing !!! thanks for share ! This day out looks bloody awesome though!!! Hello,pleased to know about your article. 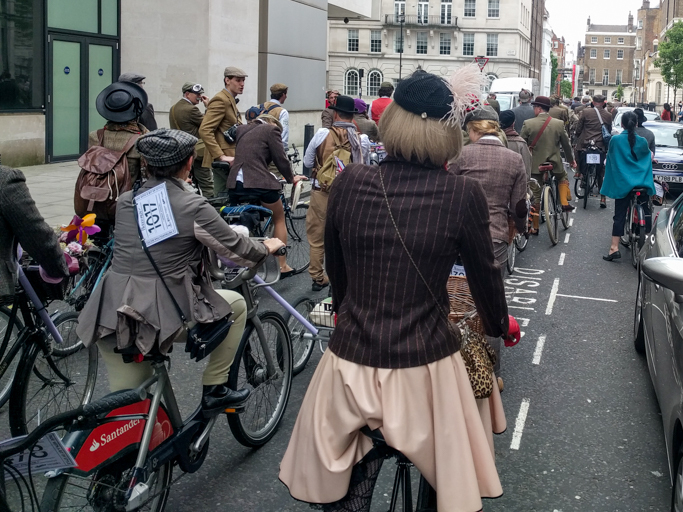 Riding in London is just fabulous history for me.The idea about the cycling is very much appreciated. Thanks for the post.